It’s a real Kálmán bonanza this holiday season. Wherever you turn, there is Kálmán, and more Kálmán. In St. Gallen they produced Countess Maritza after an interval of 30 years, in Berlin the cowboy operetta Arizona Lady got a first German outing since 1954, and in Dresden star conductor Christian Thielemann is dedicating this New Year’s concert to the Csardasfürstin with a pull-all-the-stops-out cast that includes Anna Netrebko. And that’s just the top of the list. Yet, these three hot-spot-performances point to some of the most problematic aspects of the current operetta and Kálmán boom: casting vs. conducting. Let’s start with Switzerland. The theater in St. Gallen hired what might be called an operetta dream team: director Stefan Huber had previously landed a smash hit in Berlin with his ultra-kitsch staging of Dostal’s Clivia, and the two boys from the Geschwister Pfister cabaret duo, Tobias Bonn and Christoph Marti, also of Clivia fame. 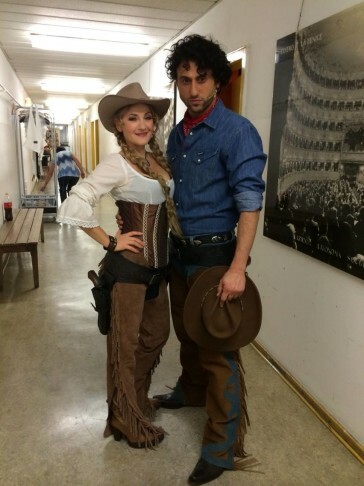 Here, they are the dashing Tassilo Endrödy-Wittemburg and Fürstin Božena Cuddenstein zu Chlumetz (in drag). These honorable operetta crusaders have been put together with the local house ensemble. And that’s where many things go (very) wrong. When you hire a wonderful actor such as Tobias Bonn who delicately phrases and interprets Kálmán’s music, yet you team him up with a conductor (Stéphane Fromageot) who has absolutely no feeling for contrast and drama, let alone schmaltz and paprika, all efforts to lift this Countess Maritza off the page and into any kind of special orbit are bound to be fruitless. 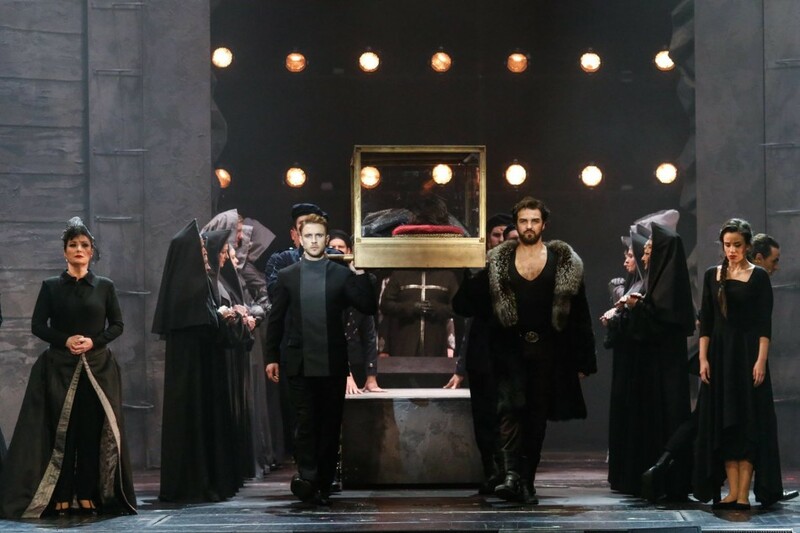 The only moment of true bliss in this Swiss production – apart from some pretty costumes and a sympathetic and effective buffo pair (Simone Riksman/Riccardo Botta) – came when Christoph Marti took over the stage as Božena and delivered a show-stopping cameo. Marti even managed to turn his one extra song “Toujours l’amour,” borrowed from Die Zirkusprinzessin, into a standout performance. Because Marti simply overshadowed the provincial orchestra with magnetic star quality. There was more superstar quality in Berlin, a day later, when the Komische Oper presented Arizona Lady with Katharine Mehrling and Serkan Kaya. The two of them, individually and even more so combined, blew the place away. It was dream casting and the two delivered dream performances with musical comedy voices and true stage presence rarely found in opera singers. 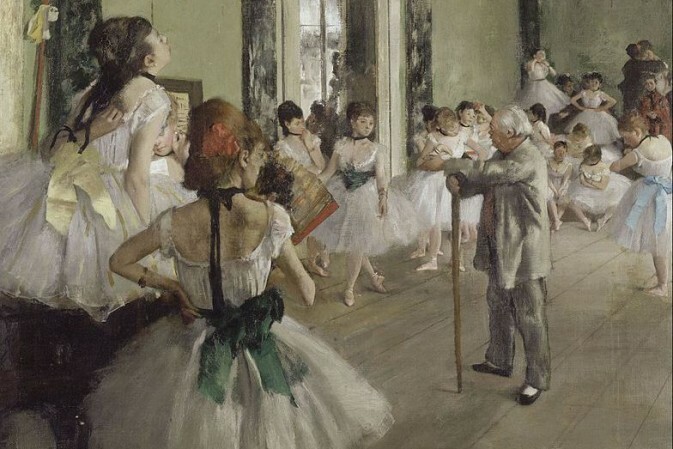 But again, they were accompanied by a conductor who did not really make the Kálmán music sparkle. Kai Tietje was not a disaster, like the St. Gallen man, but he is not someone to bring out the grandiose and spectacular of the score. He delivered an absolutely adequate reading, with some fun moments (thanks to Norbert Biermann’s new “jazzed up” orchestrations), but compared to last year’s guest conductor Florian Ziemen – who gave us a whopping reading of Herzogin von Chicago – this was comparatively one dimensional. A missed opportunity to make the orchestra shine, e.g. in the rousing overture with its Hollywood effects (not played out here), in the Mexican flavored dance of Bonita (only saved by a very funny performance of Stefan Sevenich in drag), and in some of the more romantic moments of the score such as “Rote Rosen blüh’n”. Mr. Serkan delivered this solo with ironic feeling and some gloriously ringing top notes, but there was little orchestral help to melt your hearts (or ears). The last in the timeline here is Christian Thielemann. 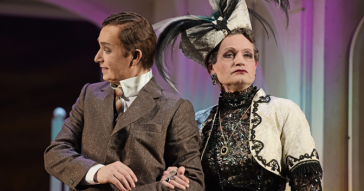 He grew up with the TV operetta shows of Anneliese Rothenberger in the 70s and is now, apparently, putting all efforts into a revival of that retro performance tradition – that died a slow but well deserved death, only to be kissed back to life again now. 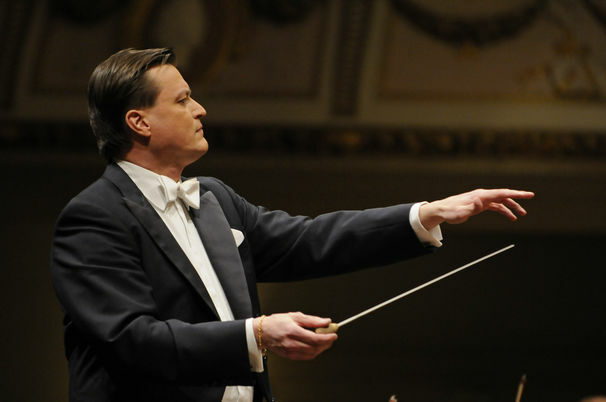 Thielemann’s lush readings of Kálmán, and his choice of soloists from the opera world, present operettas like pompous wannabe-operas, which they are not. And St. Gallen? Their Mariza will hopefully find its individual sound and style once the performances are underway, though I doubt that soprano Siphiwe McKenzie as the title heroine will ever understand what true operetta singing-and-acting is all about. But who can blame her: she sees the likes of Netrebko get away with what she does, so why shouldn’t she keep on doing it too? The good thing about it all is this: we, as an audience, have rarely had so many choices in hearing different types of operetta, Kálmán included. That is something any modern day operetta aficionado should be thankful for; I sure am. And if the Dresden Csardasfürstin becomes too frustrating, you can always turn it off and attend the second performance of Arizona Lady on December 30 (I sure will). It’s absolutely worth the experience, because it points towards the future, instead of lingering in a zombie-like past, that should be dead, but somehow isn’t. Notwithstanding your – a little bit too severely – dealing with Siphiwe in St. Gallen, I was “tickled pink” (in so many ways) reading your affectionate and explicit review – bringing back all those wonderful memories of two outstanding evenings between Switzerland and Berlin with a bunch of enchanting ladies from Arizona, “Florida” and Mexico.